Located centrally in the northern tier of states, Wisconsin is characterized by a continental climate with long, snowy winters, warm summers and 28 to 34 average annual inches of precipitation. The gently rolling topography is due to glacial scouring and dumping of glacial detritus during the Pleistocene, when glaciers covered most of the state and then retreated. Natural communities include conifer and hardwood forests, prairies and savannas, wetlands, rivers, streams and lakes. Due to its location and continental climate, in Wisconsin natural resources revolve around lumber and stone. Not only do Wisconsin's forests provide wood for timber and pulp, they provide recreational opportunities such as camping, hiking, skiing, snowboarding, biking, ATVing and snowmobiling. Wisconsin is a leader in the forest products industry; the over 64,000 workers employed in 2017 made the state number one in the nation. According to the state's department of natural resources, the economic value of wood and paper products shipped in 2017 came to roughly $24 billion. All of Wisconsin's state and county forests as well as most privately owned ones are third-party certified as being managed in a sustainable manner. Most of the roundwood harvested in 2013 was aspen, sugar and soft maple, and red oak. Other major roundwood species are red, white and jack pine; paper and yellow birch; white oak; balsam fir; ash and basswood. The glaciers that scoured Wisconsin left behind appreciable deposits of different sizes of rocks, sand and gravel. 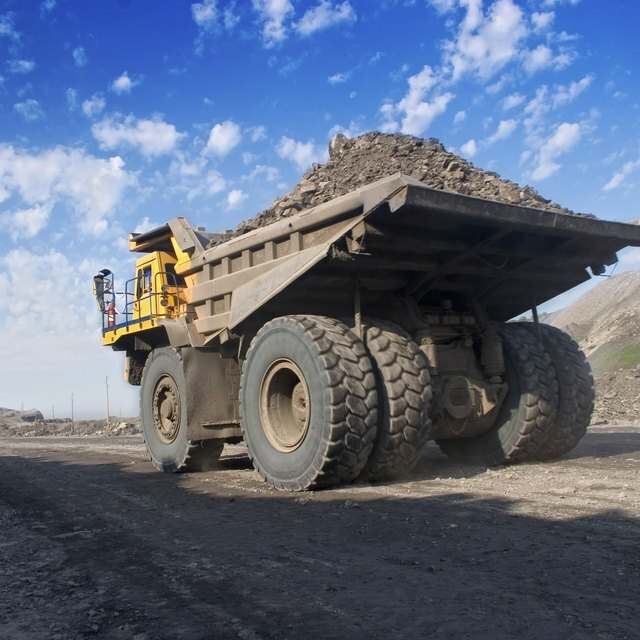 Mining activities for gravel and sand are scattered throughout the state. These quarries or pits furnish materials for road building, agriculture, construction and other uses. Stone and limestone are also quarried. Although mining for metallic minerals has been historically important, not much current mining activity exists. Potentially recoverable deposits of ores containing iron, zinc, copper, gold and silver occur in the northern half of the state. The entire state of Wisconsin is networked with bodies of water that furnish recreational opportunities such as fishing, sailing, boating and swimming. Wetlands and marshes provide habitat for wildlife, fish and waterbirds, with over 360 watersheds and basins. Extensive beach areas front Wisconsin's shorelines with Lake Michigan. Over 15,00 lakes stud the state, and Wisconsin contains 84,000 river miles. Of the approximately 3,800 dams in Wisconsin, about 150 are used to generate hydroelectric power. Though wild animals are not considered a natural resource in the same way as lumber or water, Wisconsin's varied habitats provide sportsmen with good big game opportunities. White-tailed deer are numerous, and Wisconsin was ranked as the best state in the nation for whitetail hunting in 2017 by North American Whitetail. About 13,750 black bears live in Wisconsin, and during the 2016 season, 4682 were harvested. 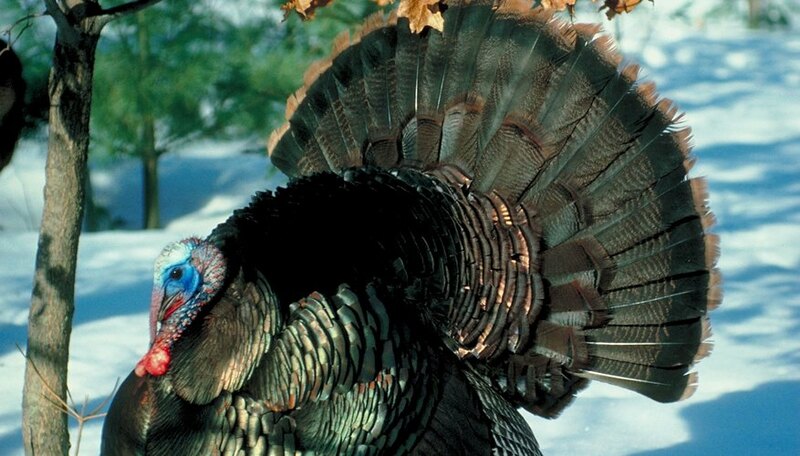 The Wisconsin Department of Natural Resources successfully re-introduced wild turkeys to the state in 1974, and they now inhabit 49 of Wisconsin's 72 counties. Wisconsin's waterways offer breeding habitat to waterfowl, with green-winged and blue-winged teal, wood ducks, mallards and Canada geese the most populous. Upland game birds include bobwhite quail, pheasant, Hungarian partridge and sharp-tailed and ruffed grouse. Small game animals are also plentiful. Csanyi, Carolyn. "Wisconsin Natural Resources." Sciencing, https://sciencing.com/wisconsin-natural-resources-9705.html. 30 August 2018.